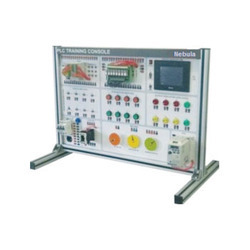 Our product range includes a wide range of training console, industrial plc trainer, control system lab, vibration trainer, load cell trainer and pid based speed controller. Based on the skills of our adroit professionals and creative workers, we bring forth an extensive range of Training Console. Owing to features like dimensional accuracy, durability and easy installation, the offered products are extensively demanded in the market. A team of our adept professionals with hard-earned experience manufacture the offered range using high grade raw material and the latest technology. 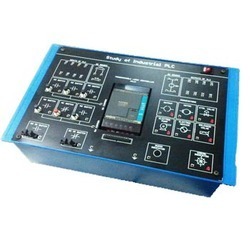 Our firm specializes in offering an excellent range of Industrial PLC Trainer. This innovative range of products are widely demanded in various industries for meeting diverse applications. To maintain industry defined quality standards, the entire range is manufactured using quality proven raw material and cutting-edge technology. 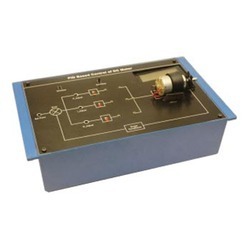 Also, the entire range is examined properly by our quality controllers upon distinct parameters of quality. 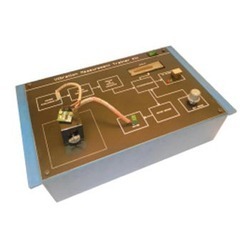 As an esteemed name in the relevant industry, we are offering a precision-engineered array of Control System Lab. Following industry defined guidelines, our professionals manufacture the entire range by utilizing contemporary machines, modernize technology and prime grade raw material. In order to ensure quality, these products are rigorously tested upon a series of parameters. Moreover, clients can avail the offered products from us at market leading prices within given span of time. 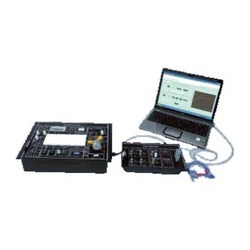 Being a well name in the industries, we are engaged manufacturing, exporting & supplying a distinguished range of Vibration Trainer. Our offered products are intricately designed under the vigilance of skilled professionals using quality tested raw material and sophisticated technology in line with the international quality standards. Clients can avail this range in various designs, shapes and sizes at market leading price within given period of time. Based on the skills of our adroit professionals and creative workers, we bring forth an extensive range of Load Cell Trainer. Owing to features like durability and easy installation, the offered range is extensively demanded in various industries. A team of our skilled professionals, with a wide experience manufacture the offered products using high grade raw material and modish technology. The offered products are available with us in various sizes, shapes, designs and other related specifications. 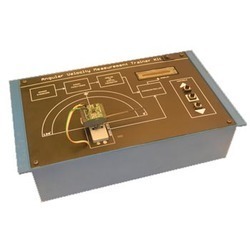 We are dedicatedly involved in offering a wide array of PID Based Speed Controller. The product offered by us is manufactured using optimum grade raw material and latest technology at our manufacturing unit. In addition to this, our product is getting huge appreciation amongst our clients for its corrosion resistance nature and reliability. This product is available in a variety of grades and dimensions for our clients to choose from us at marketable price. Backed by a team of highly skilled and talented professionals, we are engaged in providing a wide range of Angular Velocity Trainer. The offered product is manufactured using high quality metal and other raw material as per set industry norms. Our product is appreciated by our clients for its corrosion and rust resistant properties. Clients avail this product in various dimensions as per their specific demands. 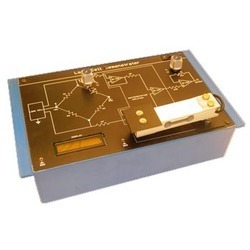 Looking for Control & Instrumentation Lab Products ?